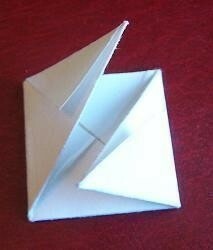 Great for games or deciding things. 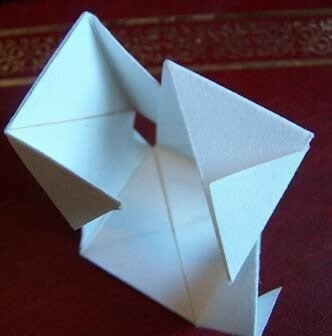 I tried some origami I found for a rose that turns into a cube, mine didn't turn out very well, but I will make it eventually. The folding for the petals worked well for a cube shape, so I used that and just folded the end in the opposite direction so I could have it smooth on the outside. 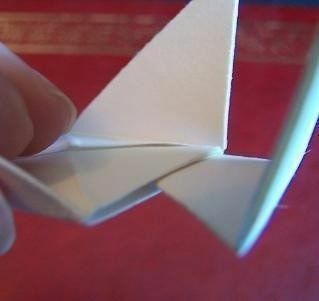 Fold your paper in half, then fold each end to the center line. 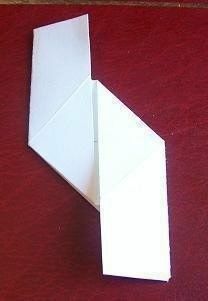 Take the top right corner and fold it like the picture shows, and do the same with the bottom left. 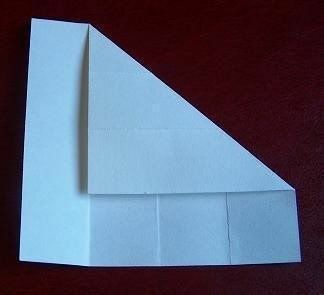 Fold it down on the crease line where the picture shows. It should now look like this. Repeat the same for the other side. 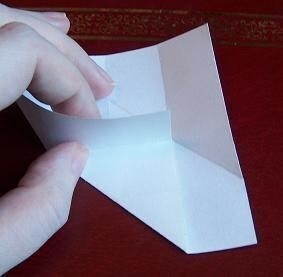 Flip it over and fold the flaps you see at the end over. 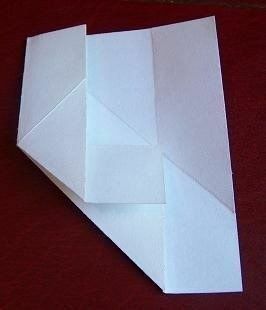 Flip it over again, and fold the ends up so you get a square shape like the picture shows. Repeat these steps until you create 5 more. 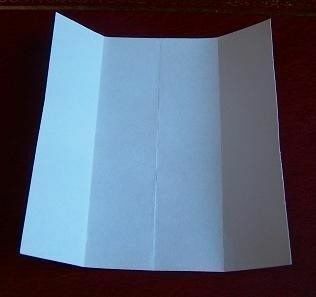 To assemble it, just slip the ends in like the picture shows. Just fit them together until it's finished. 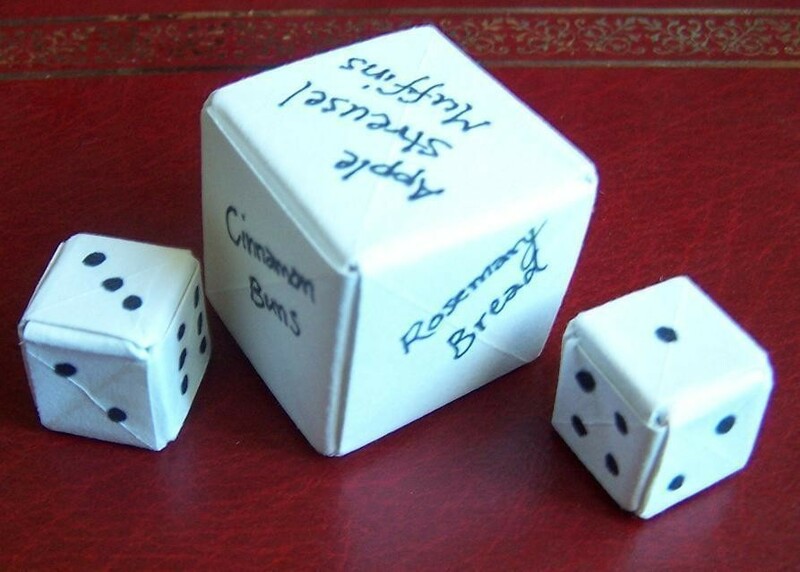 When it's done you can decorate it like normal dice, or like this one I wrote things I like to bake on it since I can't decide and others I use to decide also can't pick. Love these dice! 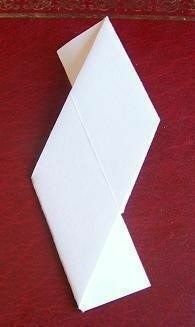 I work with kindergardeners and have folded a number of these in different sizes. In fact to make them more resilient I laminate the paper before folding; it makes them stronger, heavier weighted and water resistant! Thanks so much for the instructions.